This took me about 4-5 hours …. also still trying to figure out what the instructions meant. 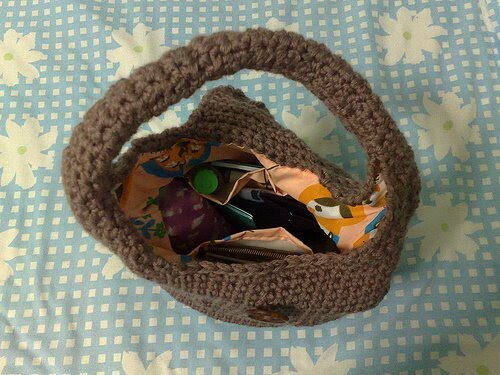 I used instructions from 2 patterns …. the first half I followed Dot’s pattern as it was easier to understand for me. 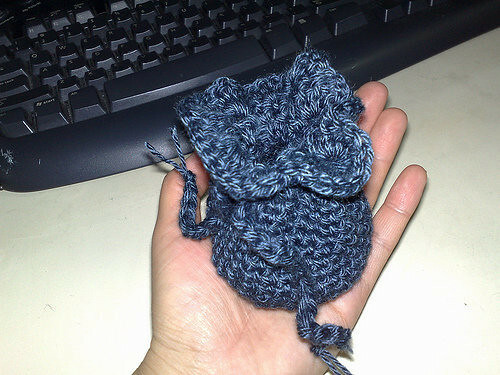 For the puffs rows onwards, I followed Crafty Pant’s pattern. 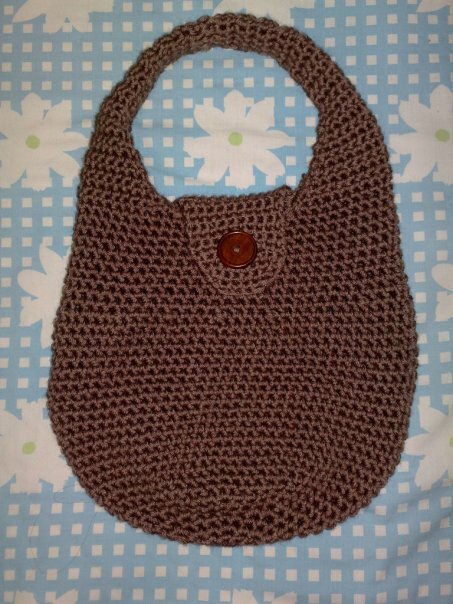 Modified pattern from Teresa Richardson’s hobo slouch messenger bag. This took me a week …. 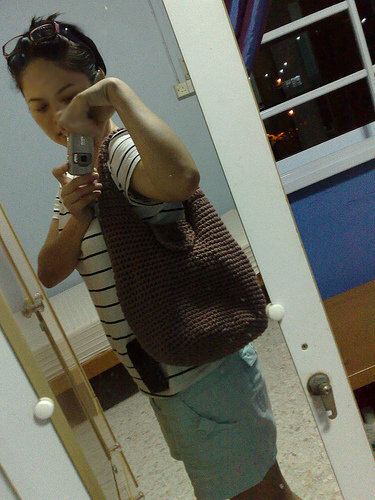 it’s very simple to make but because it’s a “big” project, it gets tiring to crochet so many rows :p i made the slouchy hat in between making this hobo bag. i followed Teresa’s pattern initially but later on decided that I don’t like the straps in her pattern. 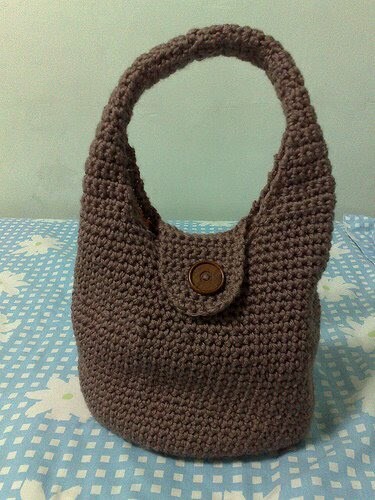 So I modified it after reading some other patterns online (namely Lion Brand free crochet pattern for its market bag).